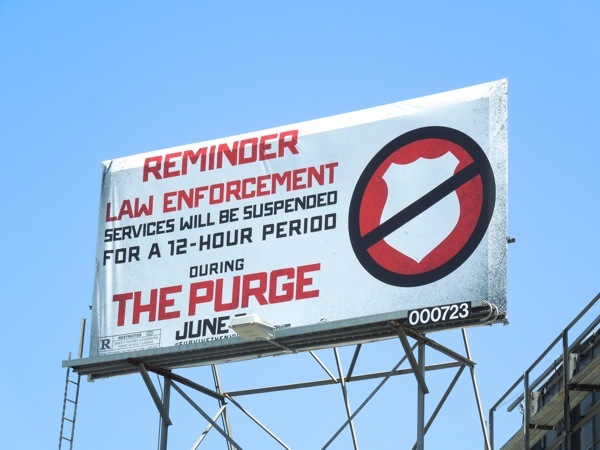 Imagine if for one night a year all crime was legal and at the same time all emergency services and law enforcement was suspended. Scary thought, right? 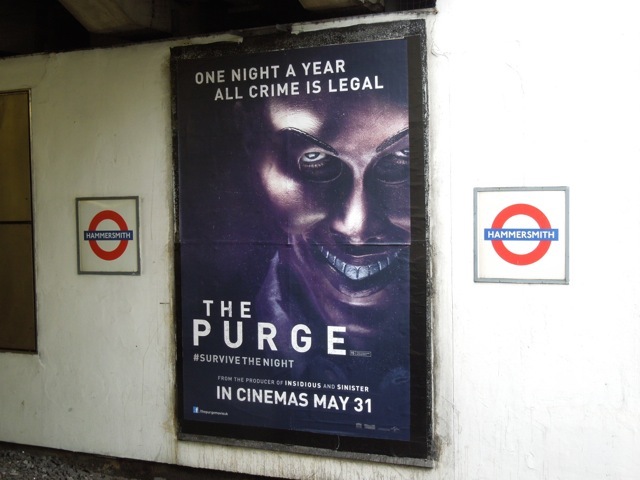 That's the basic premise of the new horror movie, The Purge. 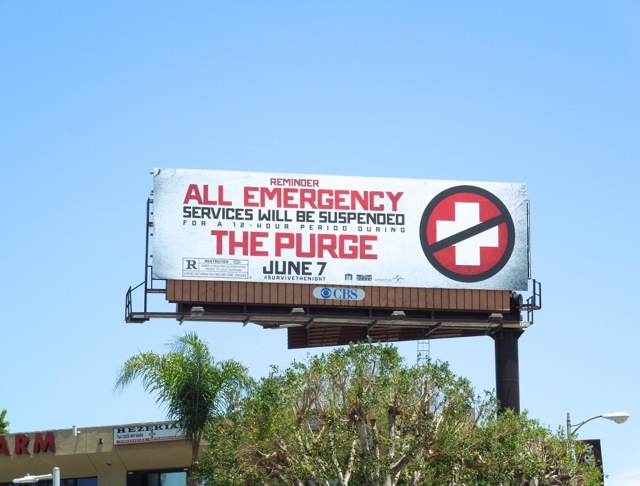 This mock 'Emergency Services' creative for the movie was spied along Hollywood Boulevard in L.A. on May 14, 2013. 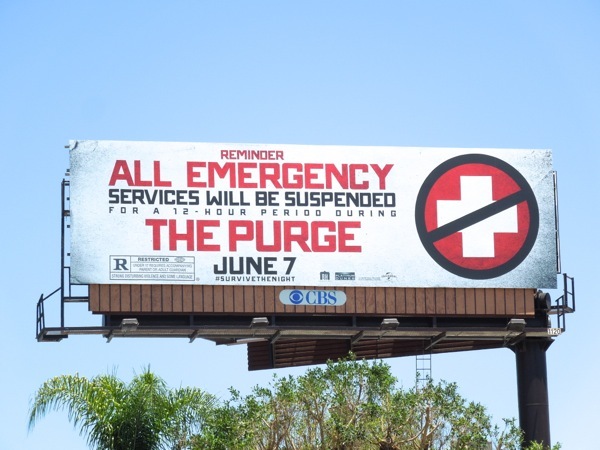 You certainly do a double-take when you see this message at first glance, but fortunately most people are familiar with sophisticated movie advertising these days and it won't start a panic. 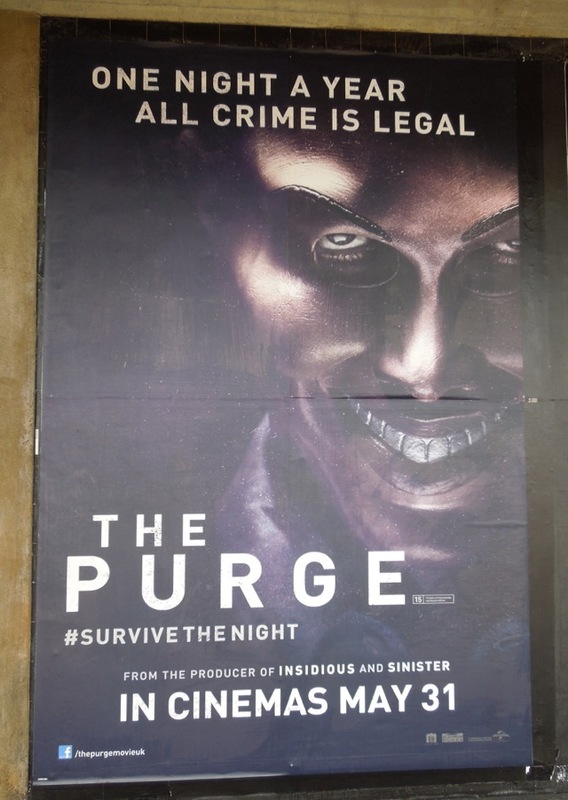 Plus as a bonus, here's a look at how they are marketing the film differently in the U.K., much more along the lines of focusing on a convention central horror movie villain (which has a slight Clockwork Orange feel to it). 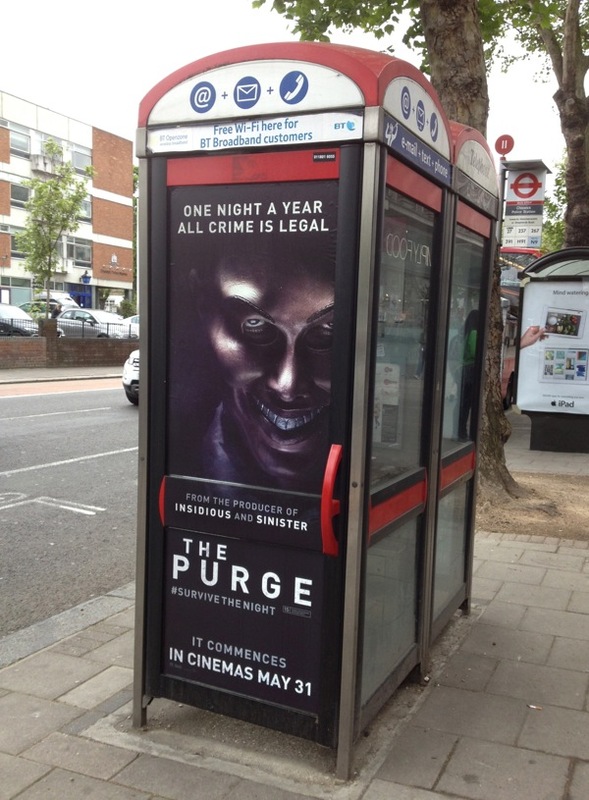 These particular London underground posters and telephone box ad were snapped in Chiswick and Hammersmith on May 22, 2013. 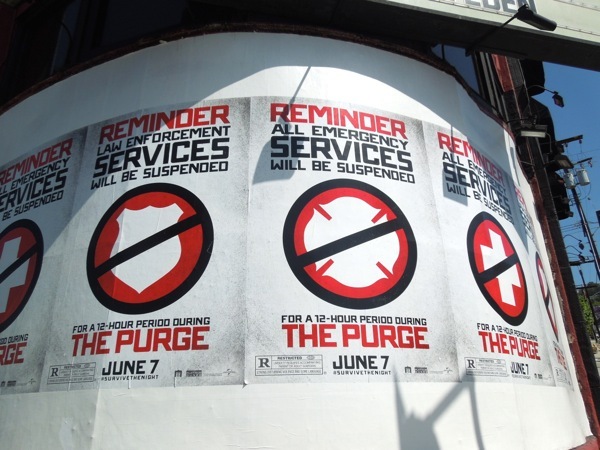 UPDATED: Here's a few posters for the movie showing the different emergency services suspended during The Purge. 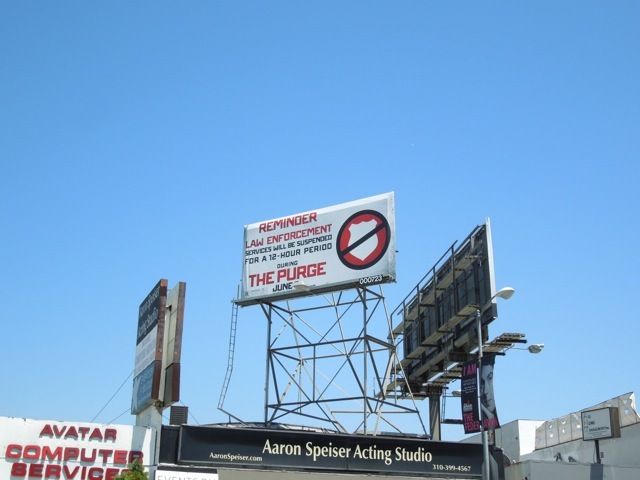 These posters were spied on the side of Whisky A Go-Go along L.A.'s Sunset Strip on May 30, 2013. 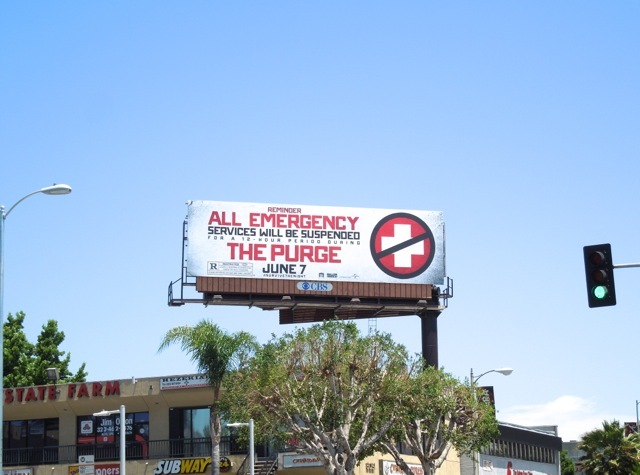 UPDATED: Daily Billboard finally managed to spot one of the law enforcement creatives in the mock public service announcement campaign for The Purge, along La Cienega Boulevard on June 17, 2013.